A lot of businesses are in the process of getting their marketing plans in place for 2011. Here at ACF, we hope you remember to include something in those plans: social media. If you haven’t hopped the social media bandwagon yet, it’s time to start. If you’ve already jumped the gun, we hope you’re taking initiative to take it to the next level. 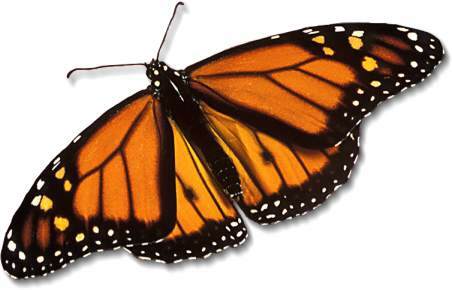 2011 is the year your company becomes a social butterfly. Social media is important because it’s everywhere. Companies are posting their twitter links in their commercials, you’ve surely heard of Facebook (and probably have your own profile) and might even read a few blogs. Social media isn’t going anywhere and companies are taking advantage of it. Plain and simple, if you don’t you’ll be losing out on business. But I Already Have this? There’s a big difference between having social media and being an active user. We see this lot; A company sets up a social media profile, posts a few times, then lets it sit for months. This generally happens because A) The company doesn’t know what to post or B) They don’t have anyone to do it. Have a plan specifically for social media. Figure out your goals and set up a strategy that you can stick to. Whether you do it in house or outsource the important thing is that you have a plan in place so you know what you want to do. When it comes to social media, a frequently asked question we get is “What should I post?” Many people are concerned that they will post something that won’t be what their audience wants to hear. What you post depends on what your goals are, so make sure you figure those out before thinking about content. Remember, that the types of posts aren’t set in stone. If something doesn’t seem to be working, it’s ok to try something else. The beauty of social media is that since it’s free, there can be a lot of trial and error. In your plan, write down your goals for each of your social media profiles and the type of content you want to post to them. Another question we get is “How often should I post?” There is definitely a balance. You don’t want to bombard people with content, but you don’t want to post so little that people think you never use your profiles. Include a schedule for your plan that you’ll be able to stick to. At ACF, we post on Twitter and Facebook and least once daily, write a few blog posts per week and send out an eNewsletter every Thursday. Having a schedule will help you think about content and hopefully prevent you from falling behind. Social media is a free form of advertising…kind of. Yes, you don’t have to pay to join, but that doesn’t mean you don’t have to spend time to make it work effectively. Social media is a lot of work. The more involved you get in it, the more you’ll realize that it isn’t truly free. Including it in your marketing plan will help you achieve effective marketing results using social media. This year, turn your company into a social butterfly. Need help getting social? Contact ACF today to learn more about the social media management services we offer.